Ready to rent! One story home with four bedrooms and two baths. Sold As-Is. Vacant lot next door is listed separately (#981914) and will be subdivided at closing. I-10 Take exit 359 for Luna Street toward Lenox Ave/Edgewood Ave,Turn right onto Luna St,Turn right onto Lenox Ave,Turn right at the 1st cross street onto Edison Ave, Destination will be on the left. 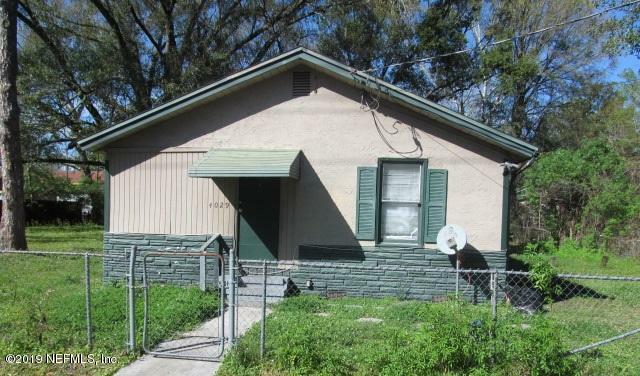 4029 Edison Ave is a 1,152 (*estimated) square foot home with 4 bedrooms and 2 bathrooms located in Jacksonville FL, DUVAL County. This property is listed for sale at $42,500 and is currently active and accepting offers.